The Julius Lehrkind Brewing beer barrel wagon, once half-buried in an equipment boneyard on a ranch in Bridger Canyon, is now restored to its original condition and serving up another round of genuine craft beers. It made its way to the ranch around the turn of the 20th century when Julius sold it as his beer bottling and distribution were streamlined. When in use at the brewery, it hauled kegs to local taverns across Southwest Montana and to the Lehrkind bottling plant in Livingston. The driver was perched upon its distinct and precariously high driver’s seat, to see past beer barrels stacked three-high. 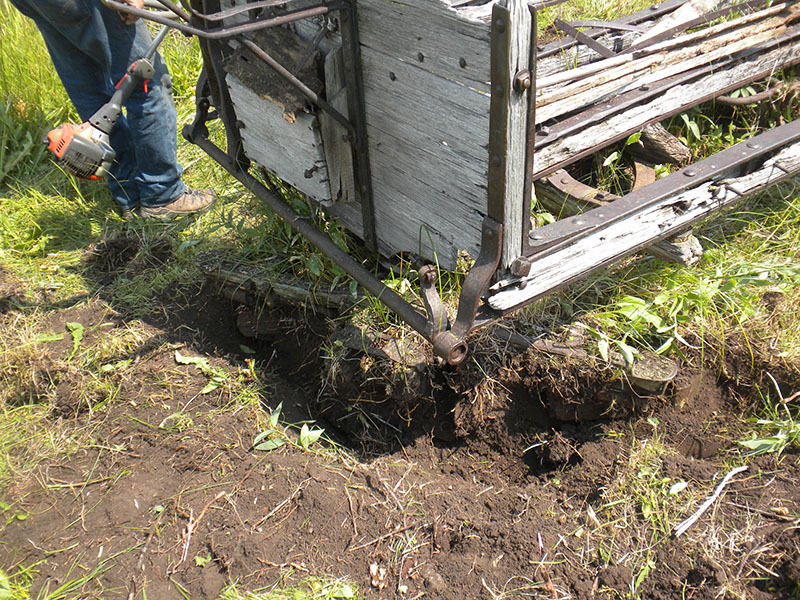 In 2014, rancher Lyle Woosley found the decaying wagon on his property and enlisted the help of a professional wagon restorer to unearth it and track its history back to Julius. With help from the Lehrkind family, it’s been brought back to working condition and historical standards. Now, the wagon is proudly pouring craft beer and a little history back into the community. 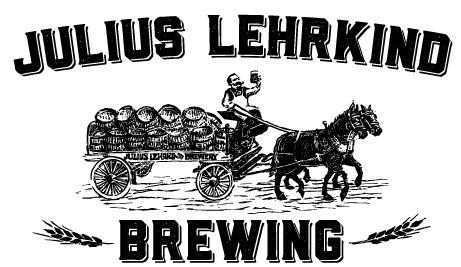 The wagon featured in the Julius Lehrkind Brewing logo is one of the brewery’s original beer barrel wagons. It pays tribute to Bozeman’s brewing history which began over a hundred years ago at the original Julius Lehrkind’s Brewery. 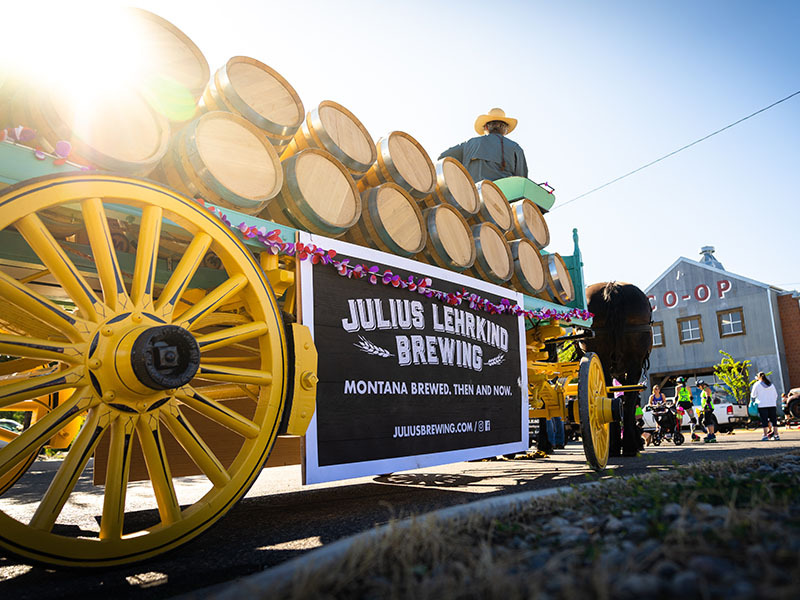 We are thrilled to honor Julius’ legacy and bring back Montana’s original craft beer. 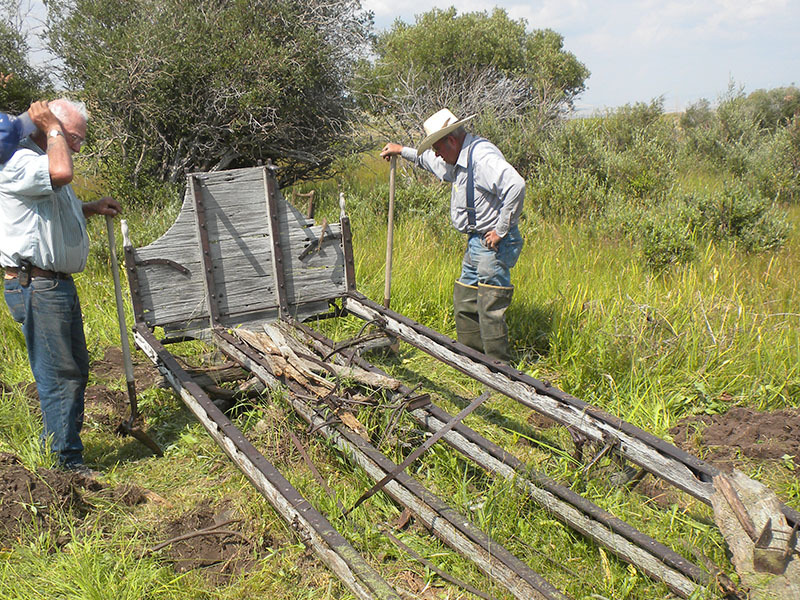 A couple years ago, on a warm summer day, Sedan rancher Lyle Woosley contacted retired rancher Dan Hurwitz to see if he was interested in checking out a couple pieces of an old horse drawn relic half buried in two different locations on his ranch. Lyle knew that these pieces were remnants of an old beer barrel wagon from the years of his grandfather’s ranching, and he knew that Dan liked dabbling in the rebuilding of buggies and wagons. Thus began a most interesting exploration of wagon history and Montana history that goes all the way back to a young Julius Lehrkind fleeing Germany as a stowaway to America around 18601, the incorporation of the Selle Gear Company in Akron, Ohio2, and homesteaders locating their ranch in the east Bridger foothills, all in the exact same era. In the unraveling of this history, several players are so essential that the story would not have unfolded without them. Lyle Woosley’s great grandfather homesteaded the family place on the east slope of the Bridger foothills in the late 1800s. 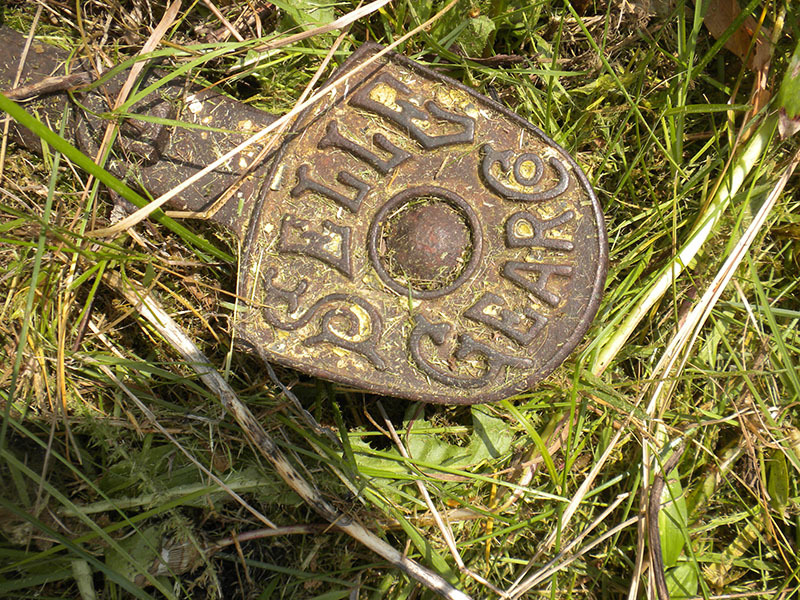 His great grandmother became the postmistress, and needing a name for postal delivery, she dubbed it Sedan after the home she left in Sedan, Kansas. 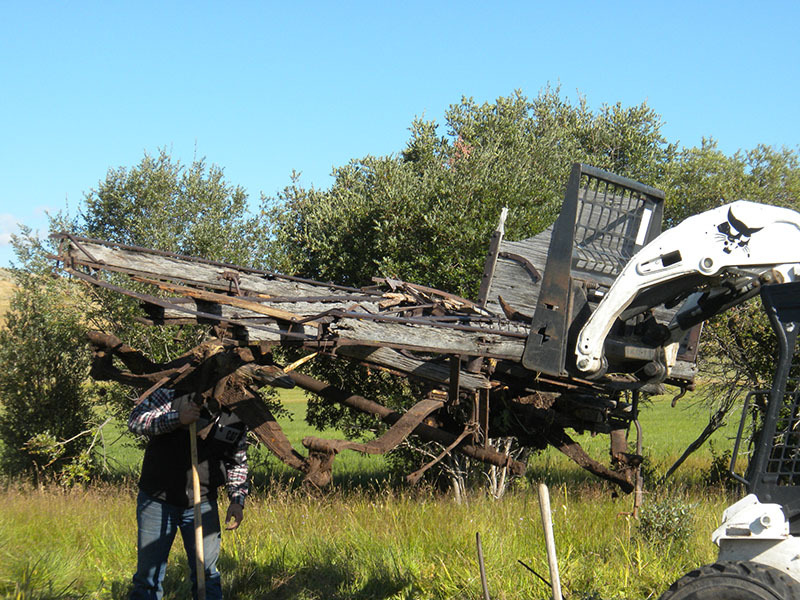 Lyle’s grandfather, Henry, took over the ranching with the equipment of the day, including a mower, buck rake, hayrack, and stacker, the latter of which was Lyle’s first job. Harlan Olson is a modern day professional rebuilder of vintage horse drawn vehicles with his business, High Country Horse Drawn, located right across the Bridger Range from Sedan. Perhaps his father’s early military career as an engine room mechanic stirred up Harlan’s childhood obsession with model cars, engines, and old wrecks. About the time he met his wife, Joal, he was working in a hardwood lumber yard in Colorado fixing any and everything wood, from instruments to cabinetry. His teacher and mentor firmly believed the best teaching model was to “screw up first”, so Harlan’s on-the-job lessons about the feel of wood, the types of wood, the qualities of wood, and the capabilities of wood, never left him. 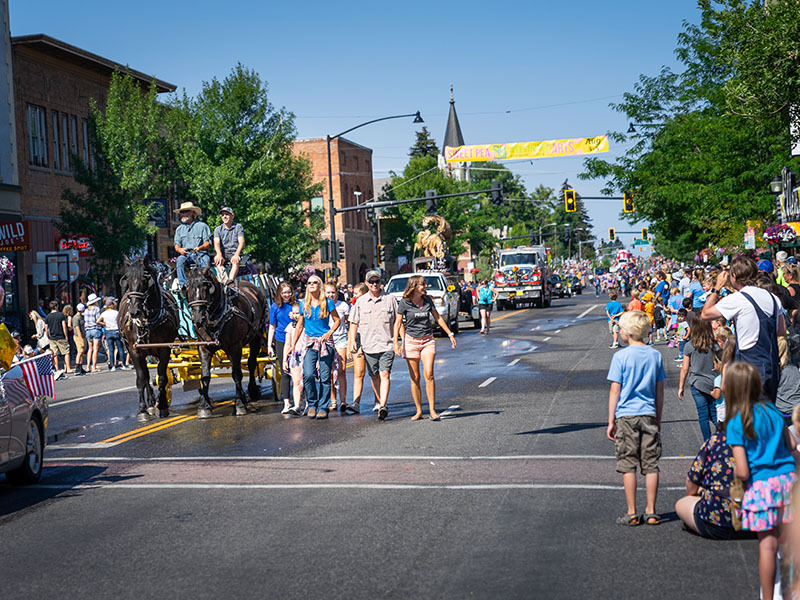 A family business brought the Olson’s to Bozeman. After collecting an old pickup from a field, a sleigh from a garage sale, and an old driving horse from an insistent friend, Harlan started developing his childhood passion of restoration, soon turning a hobby into a full-fledged business. 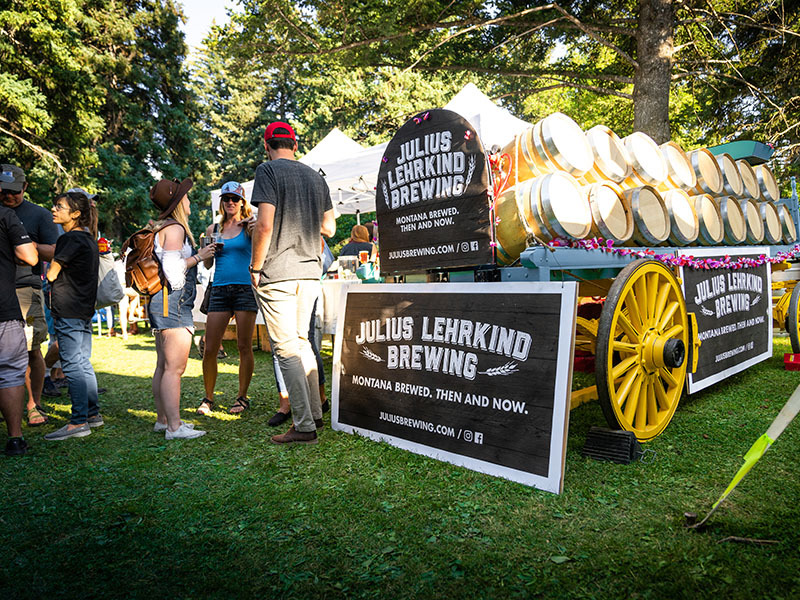 Julius Lehrkind needed specialty wagons designed to haul kegs of his beer to taverns and bottlers. 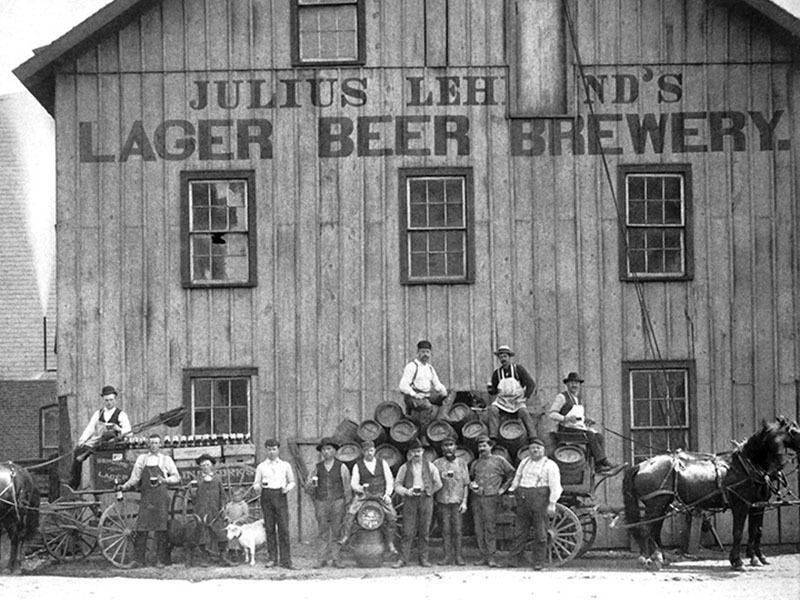 The federal tax structure of the day made it difficult for brewers to do their own bottling, so beer was sometimes transported by keg to bottling plants5 such as the Lehrkind bottling plant in Livingston. 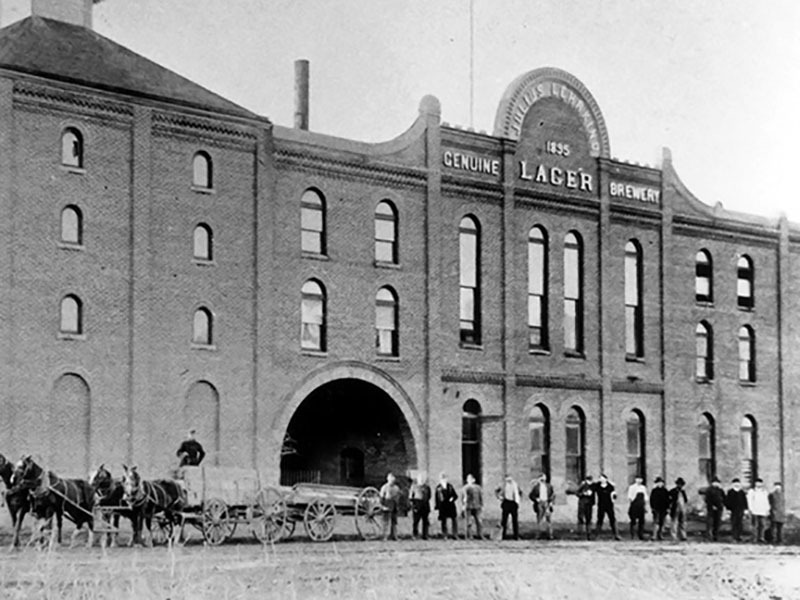 Locating their brewery and bottling facilities near the Northern Pacific Railroad was evidently a carefully laid plan. Four draft horses pulled these barrel wagons loaded with some thirty-five barrels to deliver the product to customers across town and across the state. Then tax laws changed, enabling the piping of beer directly to nearby bottling plants6. Soon motorized vehicles and trucks were becoming part of the beer transport industry. 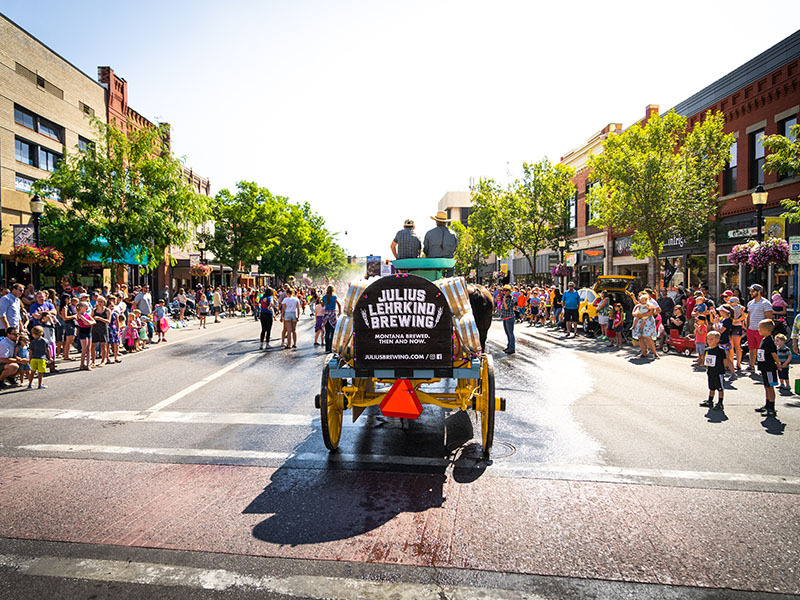 Sometime in the late 1800s–early 1900s, the horse drawn barrel wagons were being retired by the Lehrkind’s Genuine Lager Bozeman Brewery. Evidently Henry Woosley found himself a bargain. He picked up one of the wagons with what must have been some very stout draft horses of his own, and drove the big rig home to Sedan over Battle Ridge on a narrow, steep, dirt road. 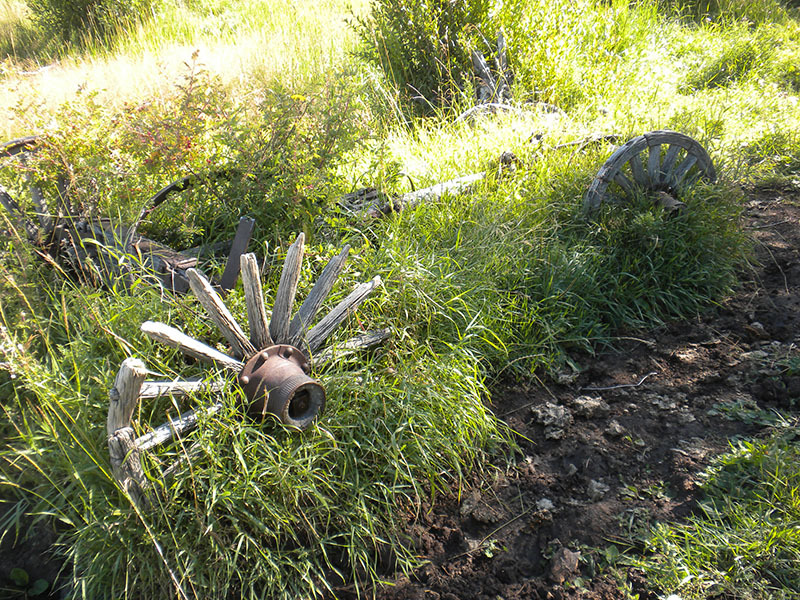 Once home, the top barrel-carrying part of the wagon was dropped off in a typical farm “boneyard” at the edge of a hay meadow. Lyle Woosley’s best guess is that that massive wheels and strong undercarriage were used another 30 years carrying loose hay in a hayrack they stuck on top. Then, some seventy years ago or so, the worn out wheels and undercarriage were dropped off in another forgotten swamp. 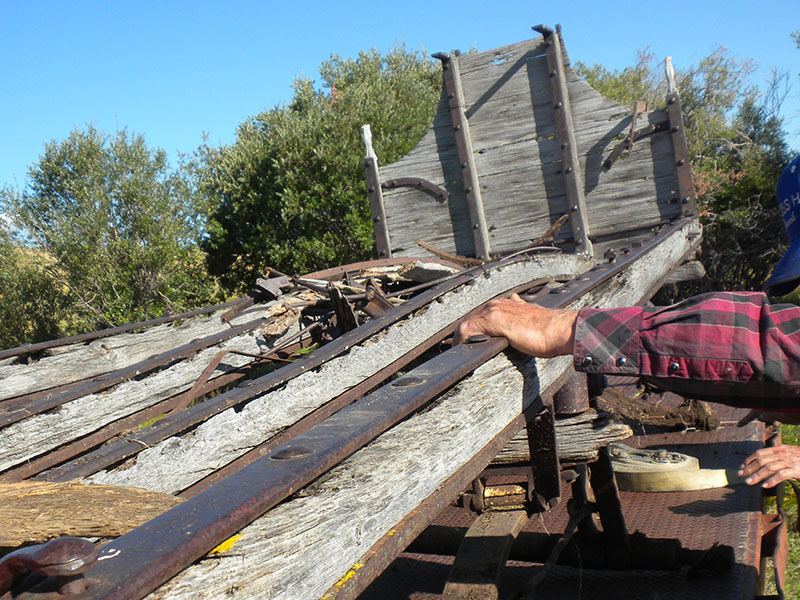 Back to the warm summer day in 2014 – Lyle Woosley and Dan Hurwitz drove out across the Woosley Ranch to scope out the odd remnants of the upper wagon. After several days of heavy duty hand digging they unearthed four fourteen foot long hardwood beams with steel on the top and bottom. 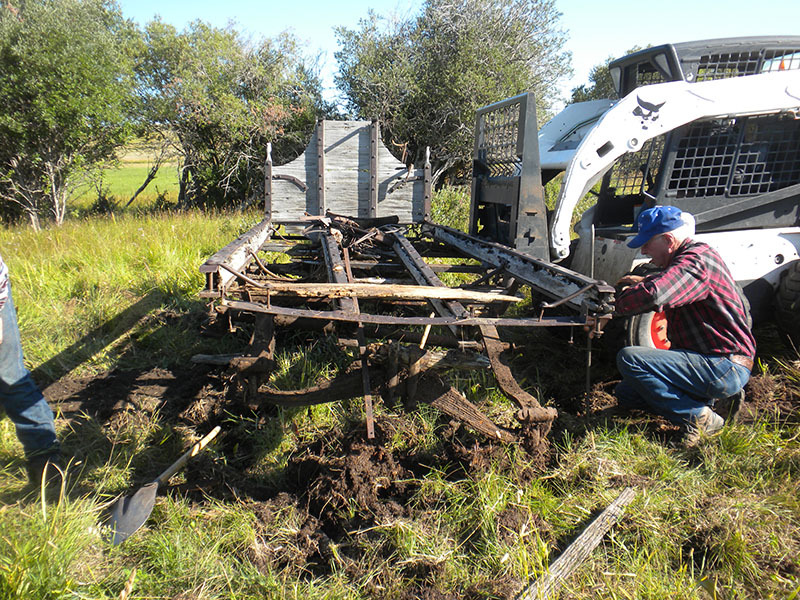 Lyle was able to pull most of it off the ground with his skid steer and arrange it on a gooseneck trailer. Dan kept digging along with neighbors who crisscrossed the burial mound with a metal detector until they unearthed the heavy springs and all but a few “leaves” that go on the axels. Lyle and Dan then moved a few miles down country to scope out the axels and hubs, now barely visible and overgrown with thorny rose bushes and a wasp nest the size of a basketball. Most of the wood of the massive wheels, including spokes the size of a man’s arm, had rotted. But the four inch wide steel rims were still intact along with steel hubs big enough to straddle – about ten inches in diameter. Bozeman Daily Chronicle, May 2, 2011, Amanda Ricker, “Original Brewer”. Bozeman Daily Chronicle, op cit. Charlies Philip Fox, Horses in Harness (1987), P. 147. Ron Brentano, Historic Vehicles in Miniature, revised and expanded (1998), Oregon Historical Society Press, P. 37.